This bore-dugwell is constructed in the premises of the school called purba para prathomik biddhalawy. 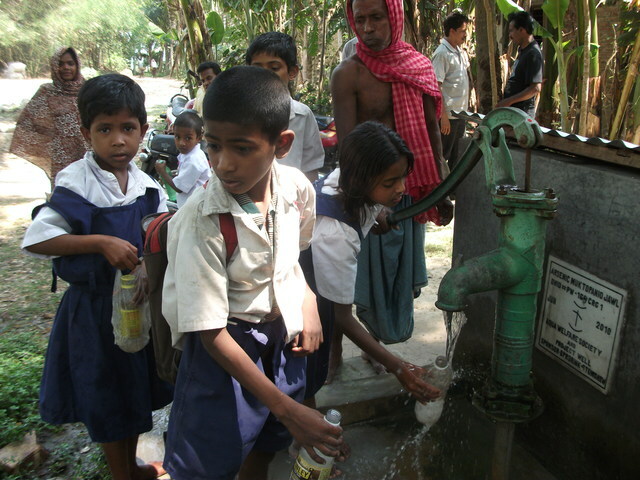 The school students and 12 families near the school use water from drinking and cooking from this bore-dugwell. This wel is used by 16 families.64 people.people used for drinking and cooking.water 21 ft. 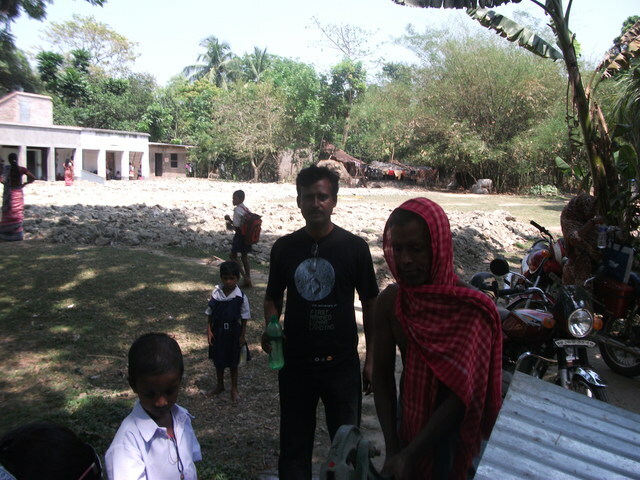 This well is used by 15 families.62 people.good water.used for drinking and cooking .theoline give 200 ml. This wel is used by 7 families.28 people and all school students near our pw 164.good water.used for drinking and cooking.water 13 ft 8inch..
Health meeting is ok.M-4, F-3,Ch-40. .This wel is used by 7 families.28 people .Good water .Used for drinking and cooking. This well has repaired. present Hassan,laltu and Animesh.give theolinf 300 ml water 16 ft 8 inch. The construction of this bore-dugwell is just completed in July 2010. The community has been trained to apply the disinfectant and field workers visits to check its functionality. According to the register record of July 2011 the total consumers=69; Families=18; Male=37, Female=32, children <5 = 4 and students =24. Need to get the data from the school. 24 families plus the school children.